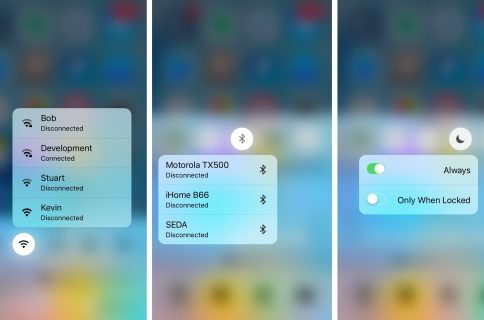 3D Touch gives iPhone 6s users tons of new features throughout the iOS operating system out of the box, but that’s not keeping the jailbreak community from coming up with incredible new uses for it. 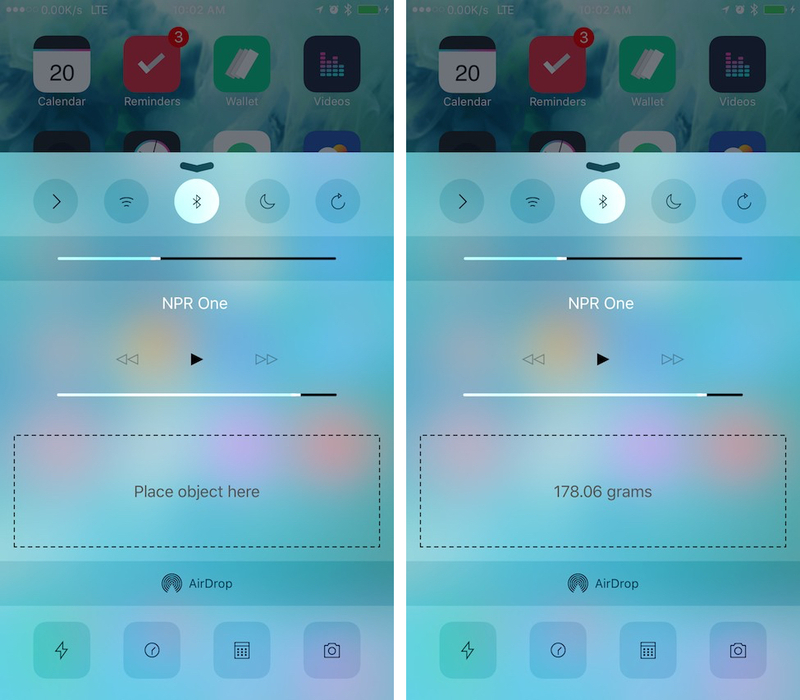 Grams is an incredible new jailbreak tweak being made available in Cydia’s BigBoss repository for $0.99 that allows those with an iPhone 6s or iPhone 6s Plus to measure the weight of light objects by using the 3D Touch display right from Control Center, and in this piece, we’ll take you through a few of the details of how it’s able to accomplish this. As noted by Phillip Tennen, one of the lead developers behind Grams, the 3D Touch display is capable of acquiring information about how hard the 3D Touch display is pressed down; this is ultimately how it registers when to perform actions, such as opening peek and pop menus and displaying Quick Actions on the Home screen. Grams takes advantage of this by using mathematic algorithms to convert this force into weight in grams. The 3D Touch display is capable of registering weights of up to 385 grams, which is about the weight of 385 plain steel paperclips. That’s just under 0.85 pounds, so it’s not really heavy enough that it would cause damage to your display either. Tennen also notes that using a capacitative object, such as a metal spoon, is required when measuring the weight of objects because the display uses electrical signals to figure out when it’s being touched. For this to work, you would need to know the weight of the spoon before you added another object to the inside of the spoon, so take note of the weight of the spoon before adding a new object. After you know what the spoon weighs, go ahead and add a light object to the spoon, such as a packet of sugar, or a couple of paperclips, and watch the weight amount increase before your eyes. You’ll then take the total amount displayed on the screen, and you’ll subtract the weight of the spoon to figure out what the weight of the object added to the spoon was. Benchmarking the accuracy of the 3D Touch display’s ability to measure weight can be difficult because many spring scales are too large to measure something as light as just a few grams. On the other hand, the 3D Touch display reacts in real time to very small changes in an object’s weight, demonstrating that it’s very fine-tuned and capable of picking up on even the lightest of objects. Grams can report weight as accurate as a one hundredth of a gram, which is more accurate than many everyday spring scales. Tennen notes that the display is best used to measure weights when the iPhone is placed flat on a surface, such as a table. In testing, the 3D Touch display accurately measures the weight of lighter objects such as packets of sugar atop a spoon, as seen in the GIF above. We wouldn’t recommend using your finger as a capacitative object because depending on how hard you touch your display with your finger, you might get inaccurate readings each time. Grams adds a new section to Control Center, and weight is reported in this section when you’re using your 3D Touch display to measure weight, so Control Center must be open when you’re using Grams. Simply place the spoon, or another capacitative object on the 3D touch display fully and take note of the weight of the spoon itself. Then, put something you want to know the weight of inside of the spoon and take note of the weight change. Since the difference of the two weights is 5.00 grams, that means the weight of the packet of sugar is 5 grams. 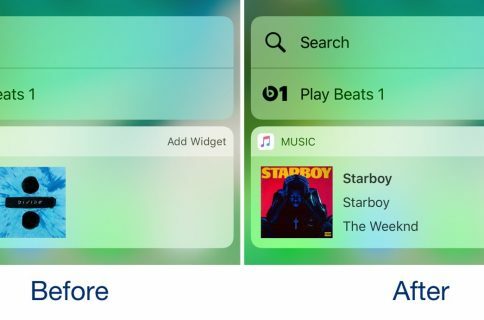 Grams is a very unique jailbreak tweak that makes interesting use of the 3D Touch display on the iPhone 6s and iPhone 6s Plus, but that’s not without saying that it’s a limited use feature that you might not use very often. The weight maximum of 385 grams isn’t a whole lot, and often times, the desire to weigh such light objects isn’t necessarily there. Nevertheless, Grams is a very cool proof of concept jailbreak tweak to show that the 3D Touch display is capable of measuring accurate weight amounts, and regardless of how often you might use it, it may come in handy in a pinch. I am certainly skeptical of weighing objects on the 3D Touch display for obvious reasons – being made from tempered glass, I’d be wary of scratches and shattering from friction and force, but if used carefully, everything should go just fine. It’s ultimately up to you on whether or not weighing objects with the 3D Touch display is a good idea and I always suggest exercising caution. Grams doesn’t have any options to configure – when you want to use it, you simply launch Control Center and go to town. The developer has even made the project open source on GitHub so you can see how the tweak works. It’s also worth mentioning that this tweak only works on an iPhone 6s or iPhone 6s Plus because there’s no way to simulate a 3D Touch display’s functioning hardware on an unsupported device. The only thing that can be simulated is the gesture itself, which can be used to open Quick Actions on unsupported devices with jailbreak tweaks like Forcy. Grams is available in Cydia’s Bigboss repository for $0.99 and it isn’t a perfect replacement for a true scale when you need a scale, but it’s a great way to get a general estimate of the weight of something small when you’re curious. For that reason, the jailbreak tweak is more of a proof of concept than utility you would find yourself using every day. And again… as wary as I am about using my iPhone’s display for something like this, use at your own risk. What are your thoughts on Grams and how did it work for you? Share in the comments below!